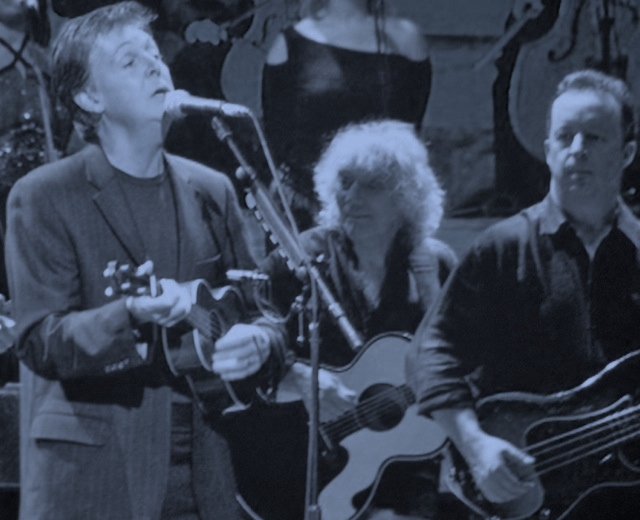 A couple months ago, we marked the ten-year anniversary of the monumental Concert for George, the November 29, 2002 concert in which dozens of musicians paid tribute to the late George Harrison, with a look back at the resulting concert film. None other than legendary ELO frontman (and friend and collaborator of the former Beatle) Jeff Lynne contributed some thoughts, as well as singer Sam Brown (featured in the concert performing the song “Horse to the Water”). 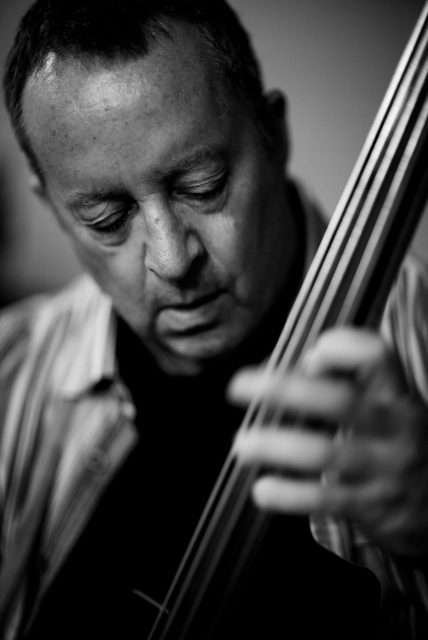 One of the folks we originally reached out to, bassist Dave Bronze, recently checked in with us to share a few reflections regarding his participation in the memorial concert. Mr. Bronze has a long and diverse list of credits, perhaps most famously his time in Eric Clapton’s touring band (he played on Clapton’s albums From the Cradle and Pilgrim). CINEMA LOWDOWN: What can you share about your involvement as bassist of the house band at the Royal Albert Hall, paying tribute to George Harrison on the one-year anniversary of his passing? 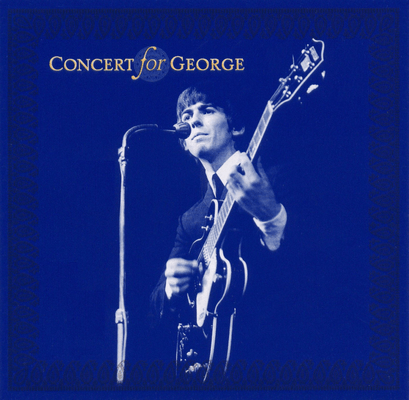 DAVE BRONZE: Regarding the Concert for George, I’m sure it goes without saying that the whole experience was mind boggling. From the very first day’s rehearsal until the concert itself, one was aware that something really unique was unfolding, and for me to be part of it was a once in a lifetime experience. CL: Was it Eric Clapton who asked you to participate? DB: It was indeed Eric who invited me along, and he called me personally a few months before to see if I was available. CL: I had the chance to talk to Jeff Lynne about the concert. He said it was incredibly well planned by Mr. Clapton. DB: As Jeff says, the rehearsals were very well organized and pretty intense, which is just as well considering the number of people involved. Eric was an excellent band leader and every rehearsal was a pleasure in itself. CL: It was an emotionally-charged concert that consists of one high point after another. Does anything in particular stand out? DB: As for highlights on the show night… Well, as you say, it was one long highlight! It would be impossible to pick out any one part as being more special, and in any case I was totally overawed by simply being there. CL: With whatever pressure there was for everything to be perfect, did the knowledge that the concert was being recorded and filmed for later release make it more difficult? DB: I will say this, at the time I had my doubts about whether the special atmosphere could be captured on the recordings, mainly because it was so technically challenging. As anyone who has seen the film knows, I couldn’t have been more wrong! CL: So it would be accurate to say you were happy with the way the Concert for George film and album turned out? DB: It’s an amazing technical achievement both sonically and visually, and it really does capture the feeling of the concert! We’d like to thank Dave Bronze for taking some time to share his memories of Concert for George. For more information about Mr. Bronze, please visit his official website.